Earth life has been characterized as a series of tests, trials, temptations, and tragedies, but through the gospel and the scriptures, our Heavenly Father has given us answers that will help us survive and find joy in the midst of our troubles. 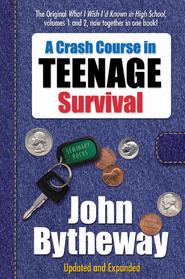 So writes bestselling author John Bytheway in When Times Are Tough. In this uplifting book for all ages, the author shows how power, hope, and perspective are found in the scriptures. In addition to identifying five scriptures that will help us get through difficult time, John offers scriptural insights that will strengthen marriages, improve family relationships, build faith, and motivate to action. In his distinctive way, John explains how we can be lifted by the gospel when times are easy and lean on the gospel "when times are tough." I love this book and the CD. I started out listening to the CD and liked it so much I would try and play back and write down some of the references. Was so happy when the book came out because I then had it all--plus it expands more--to reference in my scriptures. Great insights. Very inspirational. I have been going through some trials with one of my teenagers as well as my husband. This book has been extremely helpful to me. I highly recommend it to anyone who is having trials. It is an easy read and can be referenced again and again. John writes like a trusted friend. After the 1st chapter you will feel comforted, blessed and loved by our Father in Heaven. A great book for all ages. It's no wonder the Seminary teacher at Columbine asked him to speak. John writes just enough to give you a jumping off point to pursuing these scriptures (and others) on your own. Thank you so much John! 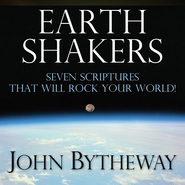 Once again another 5 star book by John Bytheway! This book is very helpful and gives great inspiration to all that read it! I recommend it to all! THANKS John Bytheway for putting out another great book! If God Loves Me, Why This?